Lately, I've been a little crazy with prints, bold crazy prints to be exact. So, I have decided to go a little minimalistic for now... lighter material and easier palette. 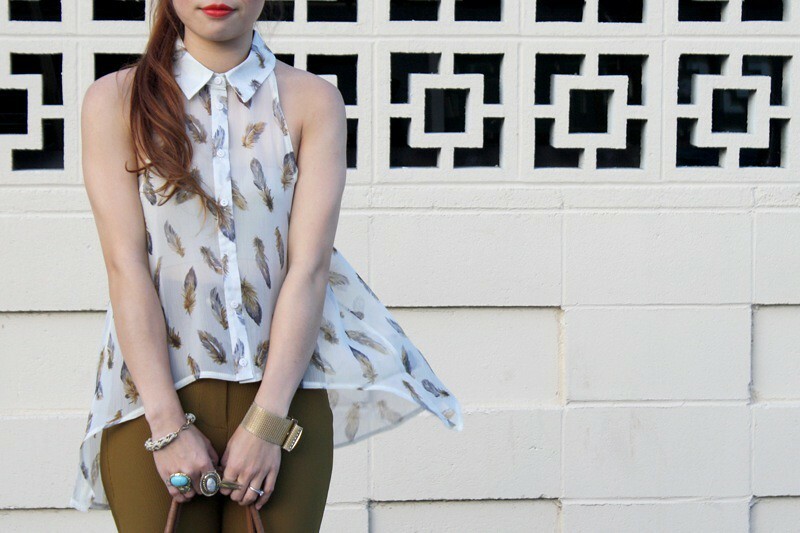 What's better to start than a light feather print top? 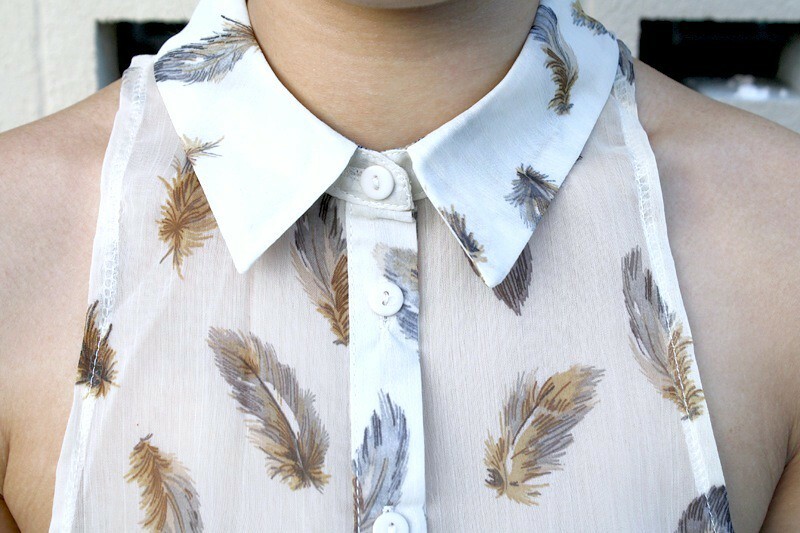 I adore this top, perfect amount of sheerness and the detailed feather print is just lovely. 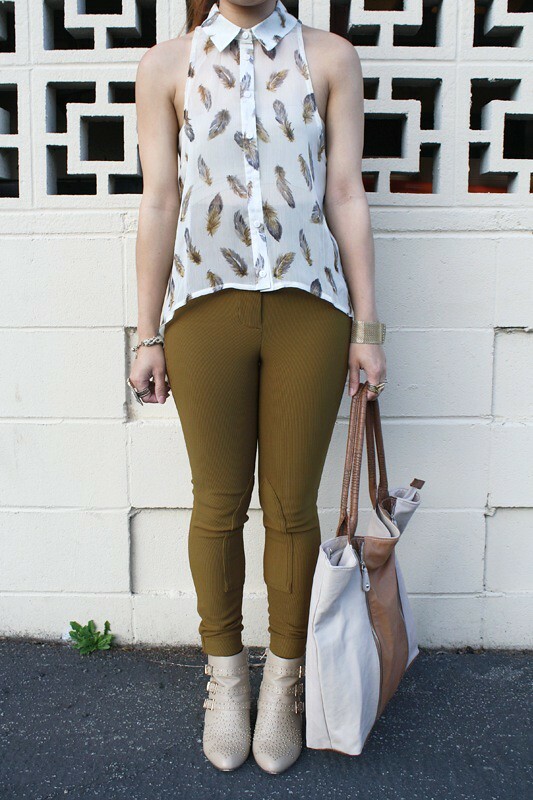 I paired it with my American Apparel riding pants in safari brown. If you look closely, you can see that the feather has the same gorgeously rich ogre mustard olive brown color as the pants. How excellent! 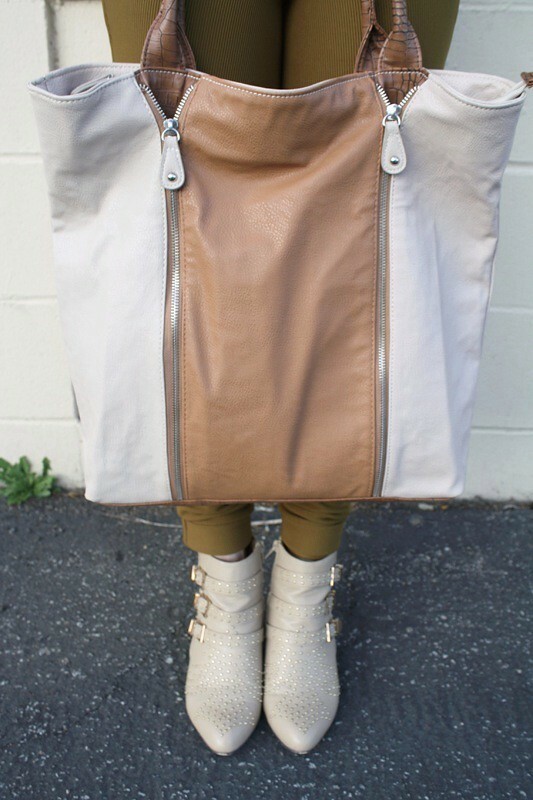 As for the rest of the outfit, I can't get enough of these studded booties and this giant two tone tote bag! They are neutral, essential, and practical! Feather print top by Oxford Circus from my work Sway. Riding pants from American Apparel. Studded and buckled booties from GoJane. Two tone leather tote bag by Jac & Annie from Ross. Gorgeous outfit, I love the colours they work great together...I'm also in LOVE with your boots!